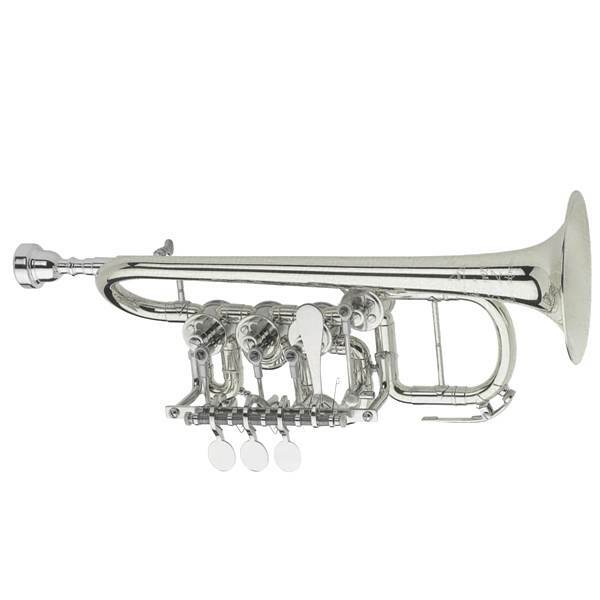 The J. Scherzer 8112 rotary valve piccolo trumpet in Bb/A allows ease of playing with a warm and comforting sound, ideal for mastering the Baroque trumpet repertoire. With its high quality of German craftsmanship, Johannes Scherzer has a deep family history of making brass instruments for over 100 years: In 1900, Emil Knoth founded and ran the Rino workshop in Marknuekirchen until his son, Kurt Knoth, took over and eventually put the business in the very capable hands of his nephew, Johannes. 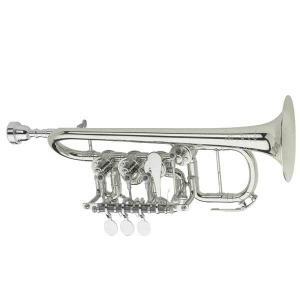 Ever since, J. Scherzer has been manufacturing only the highest quality hand-crafted rotary valve trumpets.